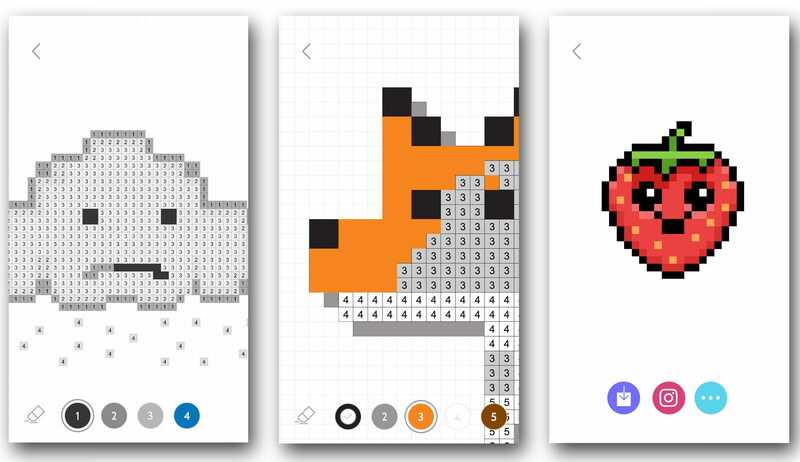 Business InsiderThe Colour By Number app lets you fill in all the squares that have the same number with the same colour. Colour-by-numbers apps are really popular on the App Store right now, with four different apps rising to the top of the free apps chart. The apps have a combined 3.2 million downloads over the past month. But most users are adults – the average user age of colour-by-numbers apps is around 30. Colouring apps are having a moment. Of the top free apps in the App Store right now, four of the top 25 are colouring apps – including the No. 3 app in the App Store, called Colour by Number. That, along with Colorbox, Pixel Art, and Unicorn, are also dominating the top free entertainment apps chart. They make up four of the top five apps on that chart, with Netflix being the only non-colouring app among the top five. All four apps bear a striking resemblance, though they’re made by different developers. The apps provide pixelated images that are filled with different numbers. Like traditional “colour by numbers” drawings, you fill all the squares that have the number with the same colour. According to app intelligence firm Apptopia, all four apps have a combined 3.2 million iOS downloads over the past month. Oddly enough, Apptopia found that the average age of colouring book users hovers around 30 – apparently you’re never too old to enjoy colouring. One important thing to note: While these apps are free to download, they aren’t exactly free to use. With Colour by Number, for example, you can get a free three-day trial, then the app costs $US7.99 per week. There are monthly and yearly subscription options too, which cost $US19.99 and $US99.99 respectively.